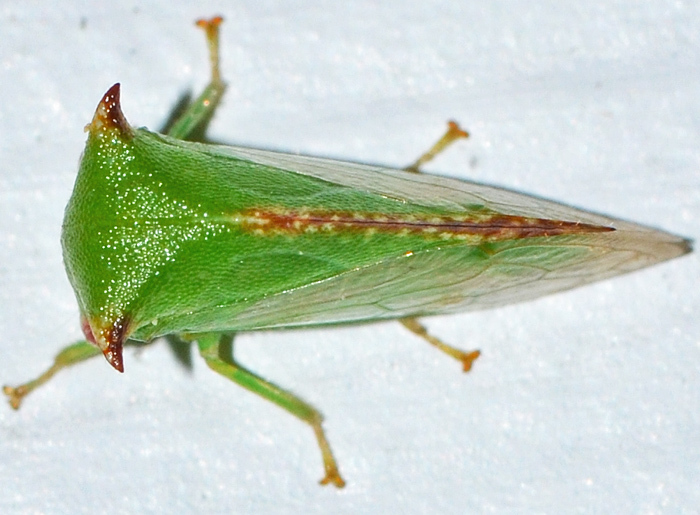 In the US, we have 36 different species of Buffalo Treehoppers. They are bright green and have an approximately triangular shape that resembles thorns and thus provide some degree of camouflage. The nymphs resemble wingless adults, but have a more spiny appearance that includes long forward-pointing plumes.